We're all on a journey in life, and I want to share a little bit about my journey. A few years ago, I went through some hard times. I feel like God gave me a picture of what my life has been like, and I felt like He said, "Shelley, your life has been like this cup." You see, I grew up in a church; actually, my dad was a pastor. I accepted Christ and was baptized when I was seven years old. But like so many of us, things happen in life. Things come about, and we realize that life isn't really all that we always thought it was going to be. You see, when I was eight years old, shortly after I first accepted Christ into my heart, I had something happen in my family. My grandmother on my dad's side was one of my favorites, and she had lived with us for a while. I'd gotten close with her, and actually my family was one of the last ones to see her alive. And what happened was—I found out when I was eight years old that her second husband, Don, had taken her life and had murdered her. And at the age of eight, my life felt like this cup. It felt like something had come and taken something from me. It didn't seem fair, and even afterwards, Don was found not guilty because of mental status. He was manic-depressive, and so he went into a hospital for a while and then was out. So it didn't seem fair, and I didn't fully grieve my grandmother's death until I was an adult. I ended up going through counseling, and finally over a process of time (and a lot of tears, grieving, journaling, and time with the Lord), I finally was able to offer forgiveness to Don, my grandma's second husband, for what he had done to her, but it was a process. And, you know, I grew up. (In my growing up years, I had great parents). They were there for me. My dad was always at all my events. He was a good provider; he provided financially for us, and yet there was a part of him that he wasn't yet able to offer us. I mean, my dad will even say today that he didn't know what an emotional word was until he was an adult. So when I was young, there was something in me that left my childhood years feeling that emotional neglect from my dad (and feeling like I just didn't really receive that attention and love that I so desired from him.) And God has restored that as an adult, and I've been able to work through that, but you know; I didn't really feel that as a child. And then I continued to grow. I continued to experience life. It was about eighth grade (I was on a trip: a field trip for school) and was so excited. There was a boy there who I had a crush on; he was kind of showing attention to me, and we kind of got hooked up. And I wanted this boy's attention. I hadn't even kissed a boy (I was innocent, you know; I hadn't done anything like that before), and on that bus on the way home—under a blanket—he did some things to me that he should have never done, which I didn't want him to do, but I didn't know what to say. I didn't know how to say, "No!" Later, I found out that what I had experienced was a form of sexual abuse. My innocence was stolen from me that night, and I didn't fully even grieve that either until I was an adult. I think it set me up, and I'm not saying that it caused me to be who I am, but I think it helped set me up to see that guys wanted one thing from me: they wanted what they could get physically, or so I thought—because of that experience. I think it set me up to relate to guys in that way (and to see that I could get their attention—that I could do those things), but it left me feeling very empty. As an adult, my parents told me that they would never get divorced, and as an adult, my parents ended up separating and divorcing. Even though it happened as an adult, it was very hard. So here I was (I was a Christian), and I was serving God and loving Him. I was in college and thought everything was great and, you know; life should be wonderful, but it didn't feel wonderful. And I don't know if you've ever felt the same way I have, but I felt empty inside. I felt this deep loneliness: it was like I was trying to find something to fill that need inside of me. So I would go to guys, and I would want to get their attention (I would flirt with them, or do whatever), and I would get their attention. It would feel so good at the moment, but the next day, I would need more attention—I mean, it just wouldn't satisfy. And so, you know, I got good grades in school, and I excelled in my work. I got accolades for different things I did, and so I worked really hard. I did all these things (and I would get that attention and affirmation for what I was doing), and again it would feel good—for the moment—but then I would feel empty again inside and it just wouldn't last. I would go to shopping, and I loved to get those great deals. I would get that fun outfit, and I would wear it the next day. I'd be like, "Yes! I only spent two dollars for this shirt," or whatever, and it [the shirt] was so cute; I loved it, but the next day, I wanted another outfit. I wanted something else because it wasn't enough. And so I kept going for my looks. I tried to perfect my looks and always worked on that outer beauty to look a certain way. And I'd go to my family and be like, you know, tell me you love me. (I wouldn't say those things, but I would go to them to try to get affirmation, or go to my friends). And then, finally, I thought I had solved all my problems. I met the love of my life and my husband now of ten years, C.J., and I thought, now surely all my problems are solved. For those of you girls who think marriage is going to solve your problems, I just want to tell you that it has been one of the best things in my life, but I want to tell you that marriage will probably cause a few more problems than to solve all your problems. And C.J. is a wonderful man of God; I love him to death, and I tried again; I thought maybe he could fill that emptiness inside of me, but it didn't work. I still felt that emptiness. Finally, I came to God, and I said, "God, I don't understand. You know I want to serve you; I want to feel satisfied in you; I want to be alive in you, and I don't understand what's wrong." And I felt like God was saying to me, "Shelley, your life is like this broken cup. You have these hurts and these things in your life that I want you to give to me; I want you to surrender them to me, and allow me to bring healing to them." The Bible says that Jesus has come to bind up the brokenhearted, and as I began to deal with some of those hurts in my life (some of the things that left me feeling really broken and empty inside), Jesus began to bring healing to my heart. I like this quote by Oswald Chambers: "No love of the natural heart is safe unless the human heart has been satisfied by God first." I felt like God was saying, "Shelley, some of these things in and of themselves aren't bad—they're not bad. But when you go to them first to get filled up, to get satisfied before you come to me, then it's never going to work" because again, like Oswald Chambers says: "No love of the natural heart is safe unless the human heart has been satisfied by God first." God gave me this picture that I was this broken cup, and I found this Scripture in Jeremiah 2:13 (NIV) that says: "My people have committed two sins: They have forsaken me [it's talking about forsaking God], the spring of living water, and they have dug their own cisterns, broken cisterns that cannot hold water." And I felt like that's what had happened to me; I was holding a broken cistern that was never going to hold water. God began to work in me (like I said, I went through counseling, I did a lot of journaling, and you know, different things help different people), and God began to take me on a journey. He began to take me through these steps of forgiveness and releasing the weight of unforgiveness to the people that had hurt me. And He did that (it wasn't an instantaneous miracle of, Okay, one minute I'm a broken cup; the next minute I'm restored), but it was a process. 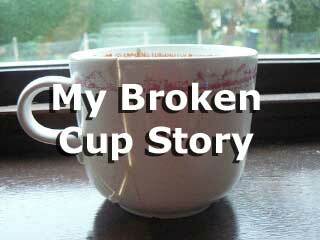 And slowly but surely God began to change me; He gave me His cup, His cistern that wasn't broken. So then when I went to Him (His living water instead of things of the world)—when I went to Him for satisfaction and allowed Him to fill me up, guess what? It filled me up and it satisfied! And it wasn't (like I said) just a snap of the fingers and an instantaneous thing; it was a gradual process of healing that God took me through, but when He brought me through to the other side, it was like if you put this cup underneath a waterfall, what would happen? The cup would overflow, right? And it was as if God's love and His living water was flowing in me and into my cup, but then it was overflowing. Instead of taking my broken cup and going to people and saying, "fill me up; give me something, I'm dry; I need from you," and feeling so needy and asking people to fill my cup, now I had His living water and was filled with His Holy Spirit. I had water, and I had love, and I had joy overflowing—spilling over to give to others. And so, like Psalm 23:5 (NIV) says: "…my cup overflows." And I just felt like God began to do that within me to where then I had to give to others. This is probably a familiar verse to many of us, but this really is a verse that describes what I went through: 2 Corinthians 5:17 (NIV) says: "Therefore, if anyone is in Christ, he [or she] is a new creation; the old has gone, the new has come!" — and that is what happened to me. It was like the old was gone. Those memories (some of those were still there), God began to heal. He began to restore me. Like Isaiah 61:1 (author's paraphrase) says: "He has come to bind up the brokenhearted, to set the captives free, to bring light to the darkness." And He's come to rebuild. Verse 4 (NIV) says: "They will rebuild the ancient ruins and restore the places long devastated, they will renew the ruined cities that have been devastated for generations." I felt like God began to rebuild, restore, and renew in my heart, and He began to do a new work in my life. Now I won't lie to you; it's a process, and I'm still in that process. God is still continuing to work in my heart and in my life, but as He's begun to heal this part of me, I've begun to develop a habit of meeting with Him and being satisfied and filled in Him. So I Want to Encourage You to Come to God. If you've forsaken His living water—to come to Him. Bring your brokenness to Him, and ask Him what steps to take to begin to be healed from those things in your past, whether they've been done to you, whether you have been hurt, or whether it's something that you have chosen to do. Maybe you have done things and made decisions that I also did, which I regret, that brought pain and hurt into my life as well. I had to go to the point where I had to forgive myself, because there were things that I had done that I regretted, and God was saying, "Shelley, you've forgiven everyone else, but you need to forgive yourself." And so maybe you need to forgive yourself; maybe that's part of your journey, but more than anything, I just pray that you come to God. Bring your brokenness to Jesus, and ask for Him to begin to heal you. He will change you from the inside out: "Therefore, if anyone is in Christ, he [or she] is a new creation; the old has gone, the new has come!" 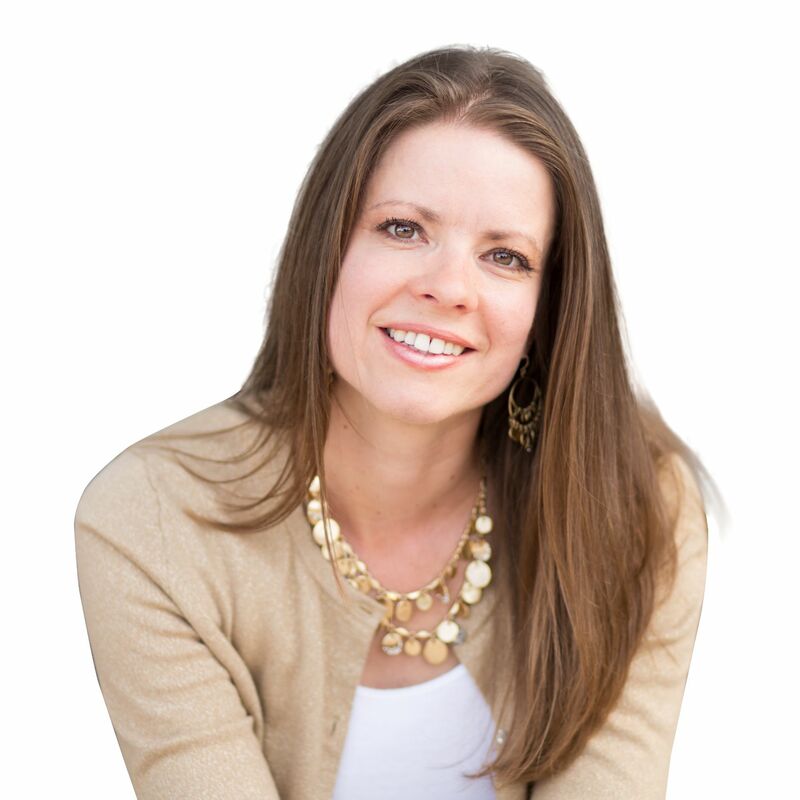 Shelley has a heart for teen girls that began from her own journey of finding her true beauty in Christ. She is currently serving God by helping other Christians learn to let their light shine.